Bowsaws and Blade. Bowsaw Blade 21" Dry Wood. Manufactured by: Bahco, a JH Williams Company..
Bowsaws and Blade. Bowsaw Blade 21" Green Wood. Manufactured by: Bahco, a JH Williams Company..
TUNGSTEN CARBIDE GRITTED ROD SAW BLADE Tungsten carbide gritted blade Saws through: flagstone, brick, cast metal ceramic tile, composites, PVC, hardwood plaster, plywood, fiberglass, slate laminates, marble, cement backerboard No teeth to dull or chip, cuts in any direction Fits standard hacksaw frames Carded 01740 12 IN. TC ROD SAW BLADE LENGTH:12"
RAZOR TOOTH(R) SAW BLADE For use with 16" EP 3700 pole saw Razor Tooth(R) design cuts twice - as fast as conventional saws 3-sided, impulse-hardened razor teeth AC 7610 16 IN. SAW BLADE SIZE:16"
Bowsaws and Blade. Bowsaw Blade 12" Dry Wood. 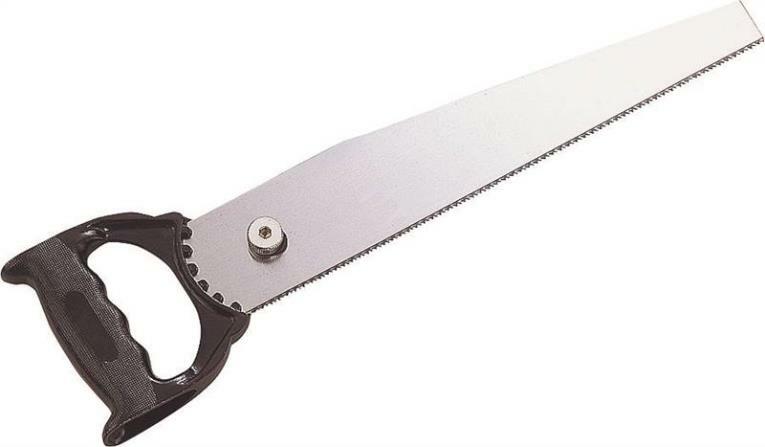 Manufactured by: Bahco, a JH Williams Company..
General Purpose Saw Blade, 12" General Purpose Saw Blade, 12"
Handsaw. General Purpose Saw Bld, 12". Manufactured by: Bahco, a JH Williams Company..
Hacksaw. Bimetal 12" Hacksaw Blade 24 TPI 10 Pack. Manufactured by: Bahco, a JH Williams Company.. Car Body Reciprocating Saw Blade. 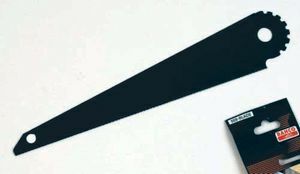 Carbody Blade 3-1/2" 24 TPI - 100/Pk. Manufactured by: Bahco, a JH Williams Company..
Hacksaw. Bimetal 12" Hacksaw Blade 32 TPI 10 Pack. Manufactured by: Bahco, a JH Williams Company..